Today the Israeli Supreme Court paved the way for the destruction of the Bedouin village of Khan al Ahmar, rejecting the petitions of the village’s lawyers and ordering the lifting of an injunction against the demolition of the village within seven days. 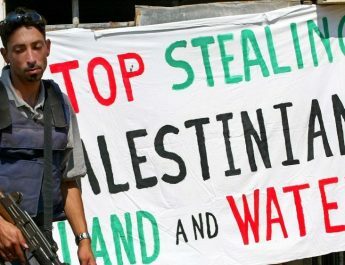 Palestinians are likely to resist the bulldozers, if they finally come. 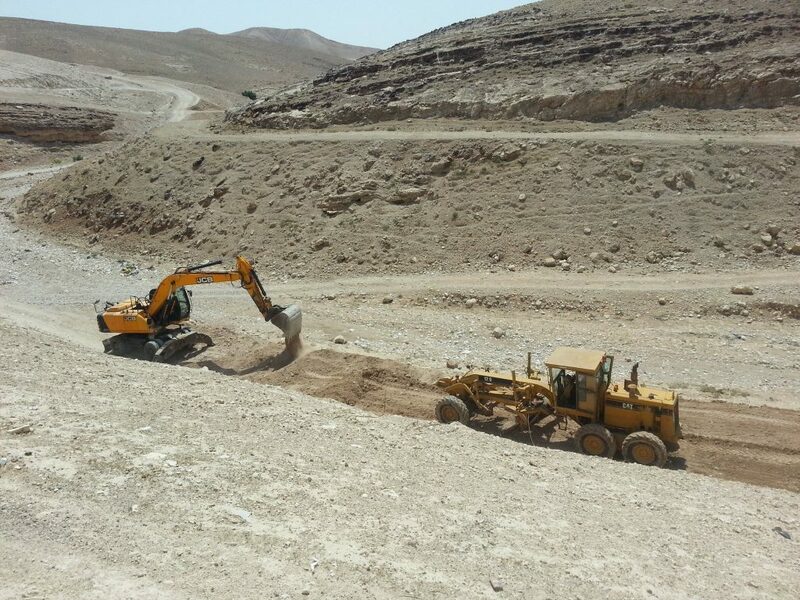 Throughout July 2018, Palestinians and their international supporters blocked bulldozers – including machinery made by JCB – in Khan al Ahmar, and crowds blocked the highway in protest. The Israeli police and military responded with extreme violence, arresting and beating people. Khan al Ahmar isn’t the only place where people have been resisting the state’s demolitions en masse. A few days ago, people held a mass sit-in on the rooftops of houses in Walaja, on the outskirts of Bethlehem. Again, the border police responded with extreme violence. Despite people’s resistance, four houses were destroyed. The main four companies manufacturing equipment used in home demolitions are JCB (UK), Caterpillar (US), Volvo (Sweden) and Hyundai (South Korea). 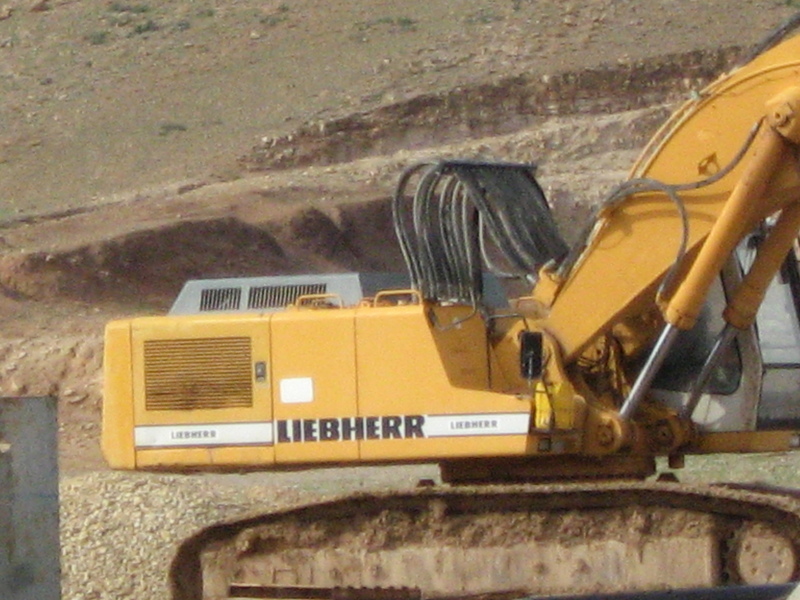 At least two of these companies – JCB and Caterpillar – also supply military bulldozers to the Israeli army. These companies manufacture the equipment, then the equipment is supplied to the Israeli military or civil administration through the companies’ respective Israeli representatives. JCB’s representative in Israel is Comasco. We need to organise ourselves to take direct action against these companies. Here in the UK, it’s important to focus on British company JCB. JCB has offices, headquarters and factories in Staffordshire, Derby, Wrexham and London. JCB Batteries has premises in Manchester. You could also enter your postcode into JCB’s ‘dealer locator’ to find the nearest JCB dealership to where you live, and pressure them to stop stocking JCB products until the company ends its complicity in home demolitions. 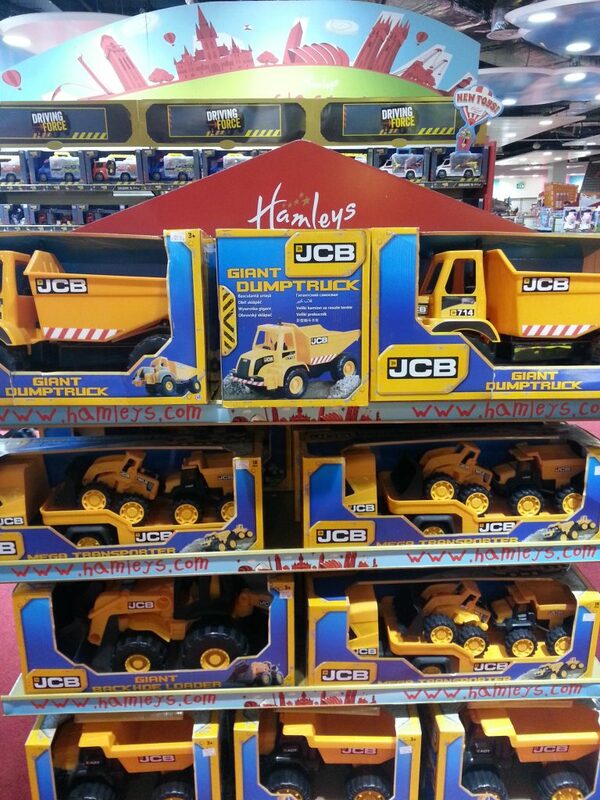 You’ll also find JCB-branded shoes, toys and batteries on sale at Smyths Toyshop, Hamleys, Screwfix, John Lewis, B&Q, The Early Learning Centre, Target, Argos and Halfords. 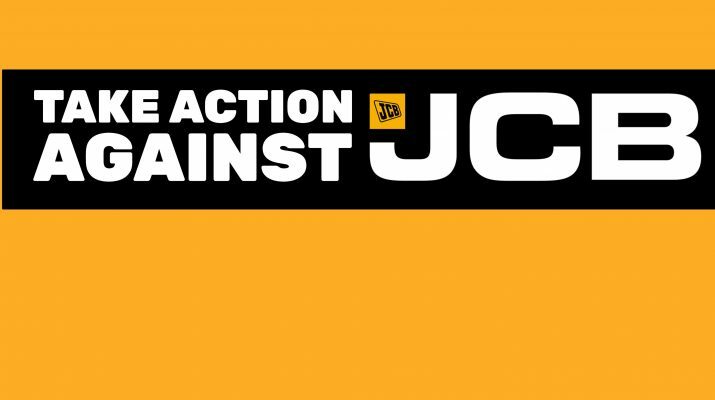 Get together with your friends and hold a demonstration outside these shops, calling for them not to sell JCB products unless the company stops Comasco, their Israeli representative, from supplying these machines to the Israeli state. You could also try to persuade local councillors to press your local council not to hire contractors that use equipment manufactured by JCB. Israel’s plans for the wider E1 area, where Khan al Ahmar is situated, are strategic, aimed at isolating the North of the West Bank from the South, making it difficult to establish any future Palestinian state. The attempt to demolish Khan al Ahmar is only the first step in ethnically cleansing the whole E1 area and destroying the homes of thousands of people in at least 18 Palestinian Bedouin communities. We need to act now in solidarity. Also, keep an eye on jahalin.org to see how to support people facing demolition in the E1 area. One more example of corporate injustice in the name of profits. No integrity here. No compassion here. No justice here. Just economic slaughter and destruction of habitat to appease apartheid politicians.. JCB you sicken me. But I am sure that does not worry you. Shame you have no ethical code or moral values…its people like you who destroy for profit who are destroying our planet and vunerable people. I will never give money to your vile company. If JCB prevented distribution of products into the affected area, other organisations would fill the market gap. That’s basic economics and the profit before people world we live in, it’s reality. Even in the best case scenario where all manufacturers boycotted Israel, Israel would still find a way. Further more how can you be sure those pictured machines are brand new? They could be well over 10-15 years old and in the hands of criminals just like Toyota Hiluxes in the hands of ISIS, or Nike backpacks loaded with explosives by terrorists. This sort of protest is so short sighted for the cause and is nothing short of spinelessly off loading guilt. If you’re going to protest, go to the source of the problem. The organisation that’s threatening to flatten Khan Al Ahmar. The machines are leased through Comasco, JCB’s exclusive Israeli distributor. By continuing to allow Comasco to lease to the Israeli Civil Administration, JCB is directly complicit in the demolitions. 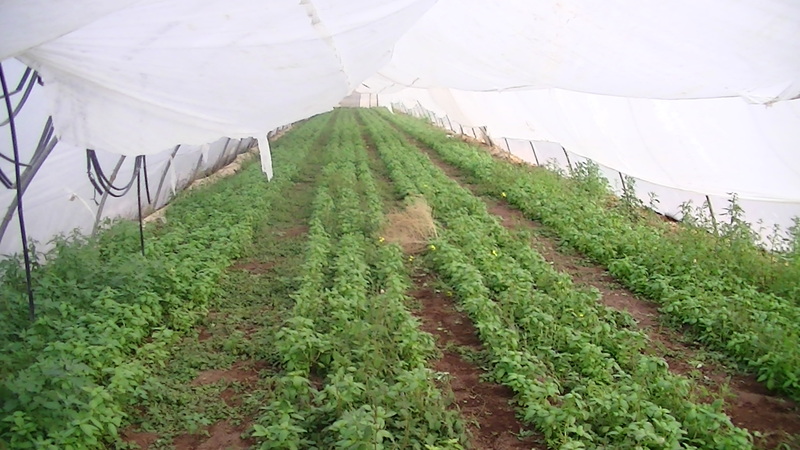 JCB should prevent Comasco from supplying the Israeli Civil Administration and the army.